U-35's encounter with the Fleetwood fishing trawler ALVIS. 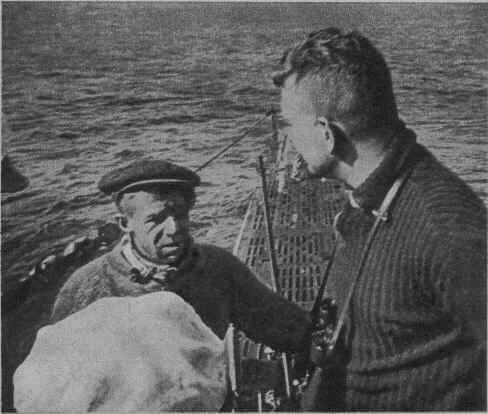 U-35 encountered the Fleetwood fishing trawler ALVIS (skipper Albert E. Thomason) on the morning of 18 September 1939. 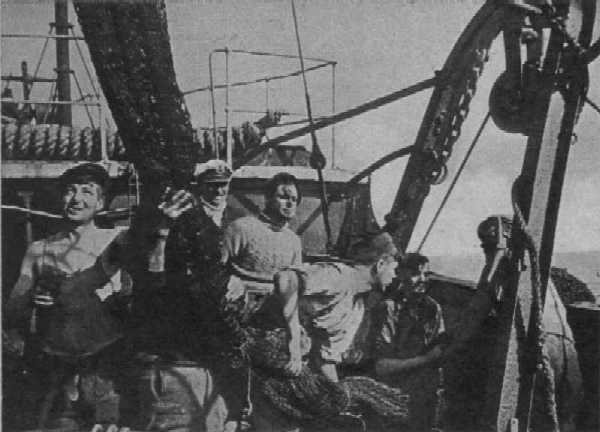 After realizing that the seaworthiness of the lifeboat was so so poor that the thirteen man crew could never have reached land, Werner Lott, commander of U-35, ordered that the fishing gear and wireless equipment be thrown overboard, and that ALVIS be allowed to return to port. In return, Thomason warned Werner Lott that the Royal Navy aircraft carrier Ark Royal was in the general area. Lott gave Thomason a bottle of German gin. Shortly thereafter, radio traffic from U-27 confirmed that an aircraft carrier was indeed stationed about 100 nautical miles to the south. Albert E THOMASON, SKIPPER, CERT. NUMBER 21698, AGE 38, 37, ABERCROMBIE ST.
C. BROOKES, 2ND HAND, CERT. NUMBER 21392, AGE 24, 35, ALBERT ST.
JOHN JENKINS 3RD. HAND, AGE 36, 6A, LYDIA ANN ST, LIVERPOOL. R. KERR, 1ST ENGINEER, AGE 40, 9, WOLSEY RD. ABDUL GUNNI, 2ND ENGINEER AGE 38, 55, LONDON RD. W. SOUTHERN, DECKHAND, AGE 17, 12, BELMONT RD. P. PURCELL, FIREMAN/TRIMMER, AGE 22, 34, WARMALY ST.
J. RADMORE, DECKHAND, AGE 23, 42 ADDISON RD. J. SANDHAM, FIREMAN /TRIMMER, AGE 30, 4 WINGROVE RD. R. WILSON, DECKHAND, AGE 24, 364, RADCLIFFE RD. P. JONES, DECKHAND, AGE 51, 20, JORDON RD. A. DAY, DECKHAND, AGE 18, 19, CHURCH ST.
C. GRIFFITHS , COOK, AGE 36, 24, STONEFIELD RD. LIVERPOOL 14. If you are related to any of the crewmembers of ALVIS, please contact .